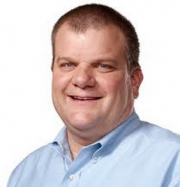 Apple has reportedly enlisted the help of long-time Apple executive Bob Mansfield to lead its automobile project. This comes by way of the Wall Street Journal, citing people familiar with the matter. Mansfield stepped down from the Apple executive board in 2013, yet stayed around the company to work on, what Apple called, special projects. In this role he was reporting directly to Apple CEO Tim Cook. One of Mansfield’s projects turned out to be the Apple Watch. Now it seems he will head-up Apple’s car ambitions — a project Apple has yet to publicly confirm. During Mansfield’s tenure he lead the engineering teams responsible for numerous products including the MacBook Air, iMac, and the iPad. TechCrunch reached out to Apple, but the company was not available for immediate comment. Update: Apple declined to comment on this report.